Pouch, Commanders', MOLLE, Coyote, (MG) Blackhawk! Blackhawk! brand modular MOLLE Pouch in 1000D Coyote Tan Cordura. 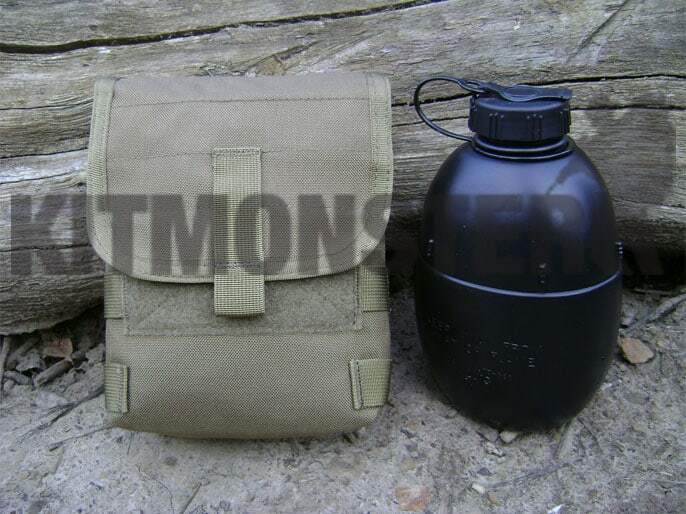 Suitable for use with most modular MOLLE/PALS systems. Ex UKSF Issue kit, these seem to be new but are unpackaged, and may show signs of storage and transit, and are therefore sold as 'surplus'. 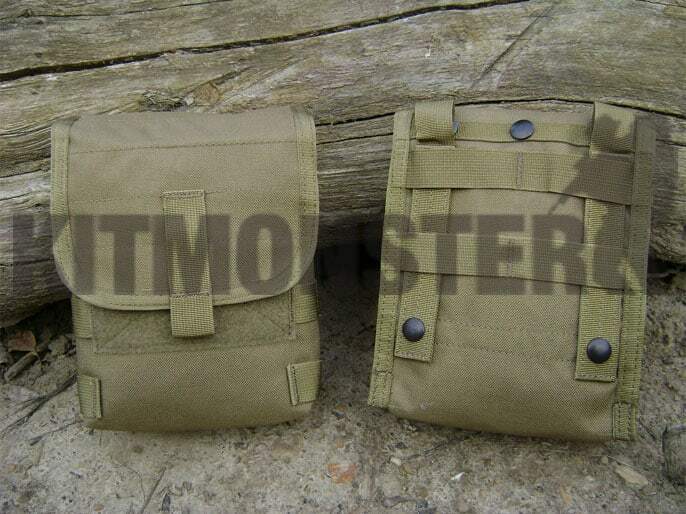 Blackhawk intended this as a pouch for linked ammunition, but we see a dual purpose as a Commanders' or Utility Pouch. 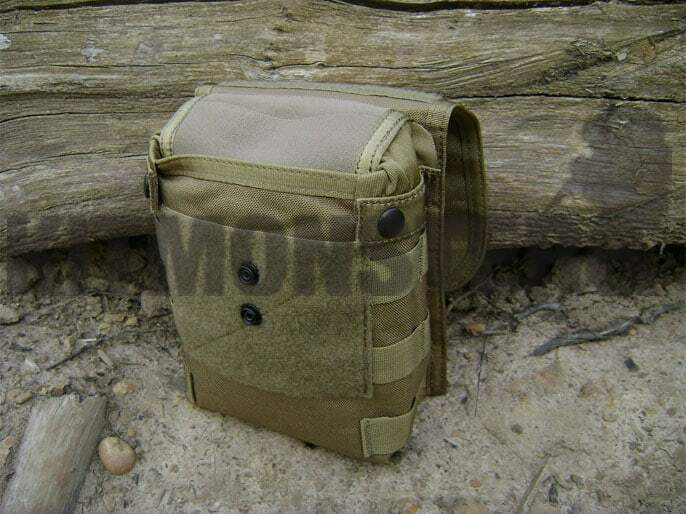 Single compartment pouch with Velcro & press studded flap, MOLLE strapping on both sides. Drainage eyelets in base. Removable internal lid with elastic closure, this is press studded in place and allows use as a magazine dump pouch. See image 3 for detail. These are suitable for 7.62 or 5.56mm belts, and large enough to accommodate the 200 round Minimi LMG hard box or zip bag, or 6x 5.56mm 30 round magazines. MOLLE 'footprint' is 3 columns by 5 rows. Notify me of updates to Pouch, Commanders', MOLLE, Coyote, (MG) Blackhawk!